The vineyard is taken care of by our Chef de Culture Thierry Delong, under the strict supervision of our advisor and Œnologue Mr. Hubert de Boüard, owner of Château Angélus, 1st Grand Cru Classé in Saint-Émilion. CHÂTEAU DES MILLE ANGES 2015 - CADILLAC, Côtes de BORDEAUX AOC. Beautiful, deeply coloured wine. The initially discreet bouquet opens gradually and quietly to offer a complete array of aromas ranging from notes of cassis, blackberry and spices to a cocktail of Fall flowers just picked. with a very elegant hint of oak. The hallmarks of the terroir are definitely present on the palate in the elegant, still young tannins, balanced flavours and fine texture. A wine still in the early days of great ageing potential. Once again, this cru could be shaking up the hierarchy of the Bordeaux grands crus. Will need about three years for its true depth and aromas to come to the fore, after which the typical expression of its “terroir” will go on developing for the next fifteen years at least. La “Cuvée MOZART” 2012 - CADILLAC, Côtes de BORDEAUX AOC. The other wine of Château des Mille Anges. Clad in a beautiful hue of garnet, this wine has a rich, open bouquet that reveals intense aromas of ripe, concentrated black-berried fruit and elegant oak. The same impression of generous fruit is found on the rich and chewy palate, which is structured by souple, soft tannins and lingers to a long, ample and fresh finish. Château des Mille Anges - Dry White wine. BORDEAUX AOC. Pleasantly fruity citrus aromas at first sniff, with more mineral, slightly oaky notes emerge on swirling, blending with both Sauvignons aromas, white & grey. After a wonderfully fresh attack, the appealingly ample, rounded and silky extract unfolds on the palate, which is characterised by finesse and balance and offers fine aromatic length and complexity. To drink from 2018 to 2025. Château des Milles Anges - Rosé. BORDEAUX AOC. Nose: Expressive, revealing the aromas of fresh red fruit twinned with riper fruit. Taste: The attack is supple and full. The mouth is round and full with a perfectly balanced, smooth acidity. The finale is long and fresh and leaves the aroma of fresh red fruit. To drink from 2018 to 2023. 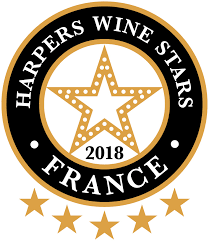 Harpers Wine Stars, UK : Top 5 Wine Stars , 2018 Selection ! Sakura Japan Women’s Wine Awards 2018 - Gold Medal ! Women's wines and spirit awards, London 2018 - Gold Medal !